People want an honest and transparent conversation with another human being. And this causes a problem. 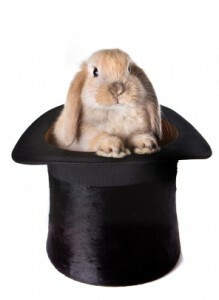 First, companies are not used to talk so directly, and second, they fear that once the bunny is out of hat.., everything will be shared. Solution: Be selective about your transparency. I was watching another Apple Event and the new iMac was introduced. Now, I’ve figured out Apple’s trick with the keynotes (it’s not that difficult), focus on the positive, emphasize the amazing and never, ever talk about anything negative (unless you have a great spin). People in the audience don’t stand a chance, they can’t help themselves seeing exactly what Apple wants them to see. You see.., Apple is very transparent.., but only about the subject they want to be transparent about.., nothing else.., ever. For instance, the new iMac is only 5 mm thin, at the edge. They do not claim it’s 5 mm thin overall. They want you to focus on that edge, and only on that edge, so that is where they draw the focus and keep it. 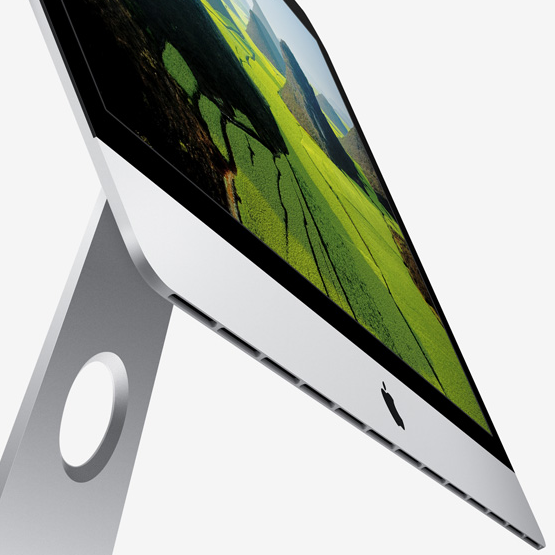 Of course the iMac is not 5 mm thin overall, they have to put all that hardware somewhere. I dare you to find an image of the new iMac, straight from the side.., not on the Apple website you won’t. Don’t get me wrong, I love Apple and the new iMac is an amazing piece of hardware putting all other desktops to shame (I’d hate to be a product developer at Dell or HP). No, the point is this, when it comes to social media, you get to decide on what people focus. You decide what you post and you decide what you share. And when your content or your product has the quality, well.., nobody would even want to look behind the curtain.., why would they. If you’re lucky people will talk about your company no matter what. Being active on the various social media platforms gives you the advantage of steering the topic of conversation. This gives you the opportunity to choose your level of transparency. Apple presents itself in a way that many try to, but simply cannot. They do not often attack the competition (which is really rare in current society), and they do not emphasize on a specific feature for too long. They show the general appeal of a product, rather than an individual feature – the only exception I can think of to this is Siri. They sell the quality, not the device. It’s pretty cool. Marketers really need to grasp this concept if they want to move forward into the new realm of marketing. If more companies were like Apple, then I can assure you that the iPhone sales wouldn’t be so great. It’s worth thinking about 😉 Great article! Thanks Joe and thank you for the comment. I couldn’t agree more. It is amazing how some companies refuse to learn from Apple’s marketing strategies. Perhaps you’d need a certain culture to provide a certain insight. I know this goes for the use of social media too. It just isn’t as logical as we would think. It’s true though, once you see it, you understand.